This Mediterranean Bistro tapestry shows a gorgeous scene from the Mediterranean life on the water. The gondolas are perched close by the home where burnt orange walls and blue green shutters shines through beautifully against the deep blue sky. This is the work of Art in Motion. 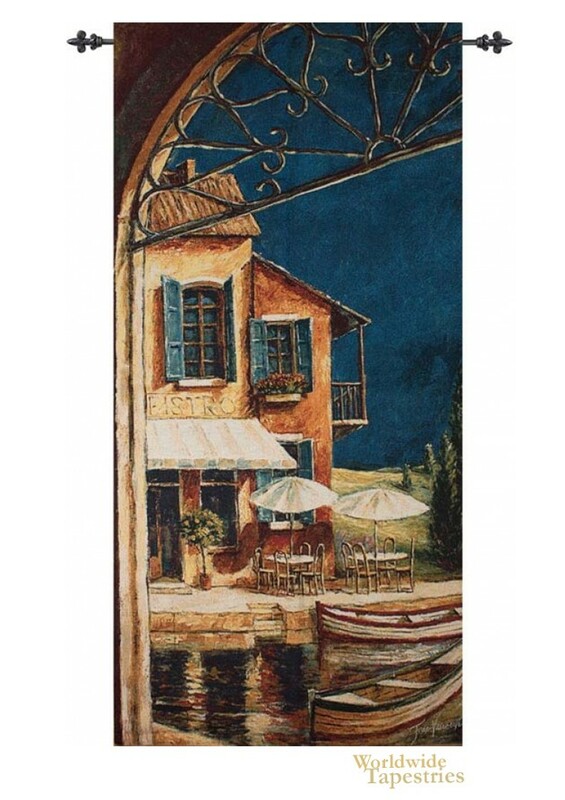 This Mediterranean Bistro tapestry is backed with lining and tunnel for easy hanging. Note: tapestry rod and tassels, where pictured, are purchased separately. Dimensions: W 35" x H 70"